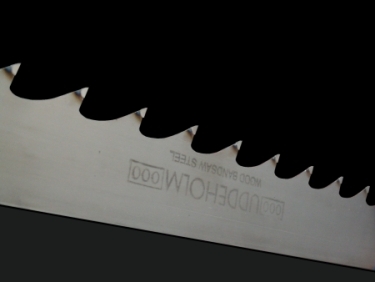 Double Cut Wide Band Saws. 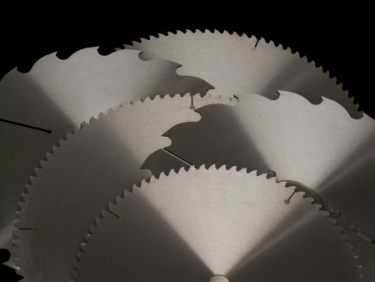 Our Wide Band Saws range from 3 inches wide to 12 inches wide. 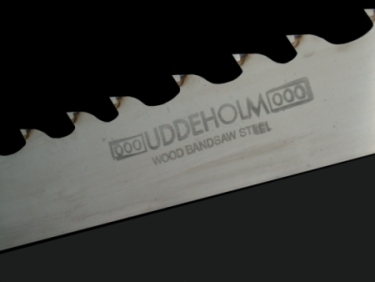 We use only Uddeholm® or Sandvik® Saw steel in the manufacture of our wood band saw blades. 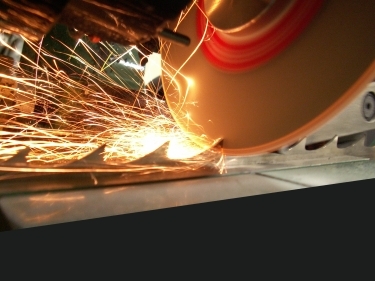 The blades can be tensioned to your specifications or to industry standard specifications. 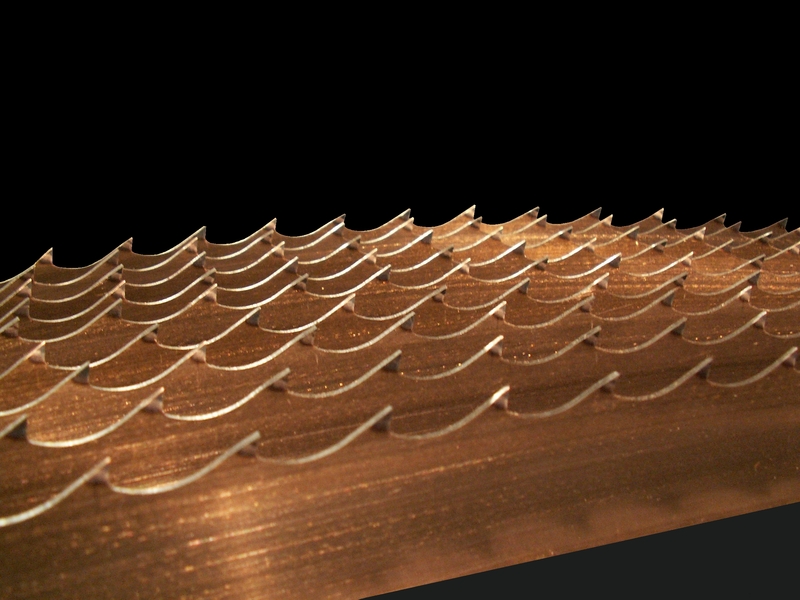 The cutting tips can be Swaged and shaped, or Stellite® tips can be applied to the blade to offer a more durable and longer lasting cutting edge. 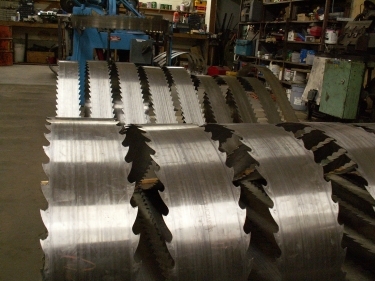 We make our wide band saws for both primary log breakdown machine centers and for small to large re-saws. 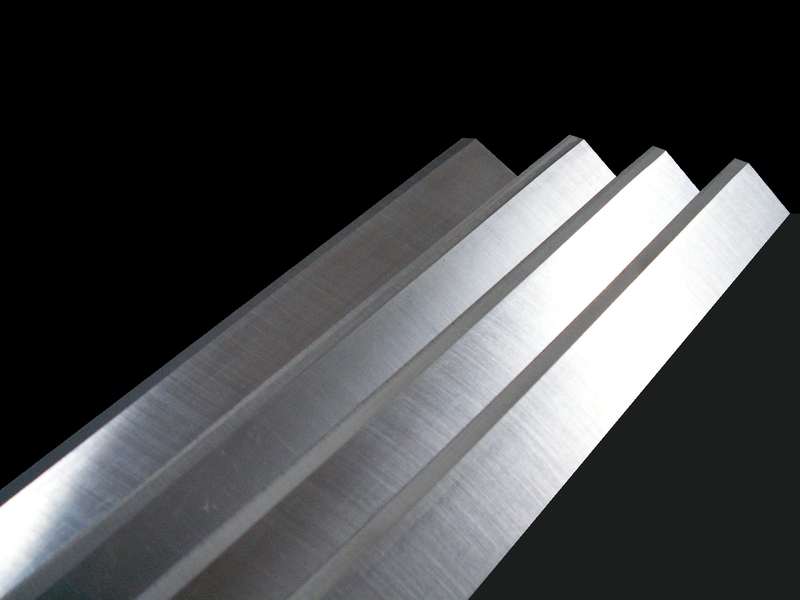 Available in smooth back single cut, sliver tooth single cut, and double cut profiles. Call us to discuss your application and needs for wide band saws. Stellite® teeth offer excellent wear resistance and stay sharp longer. 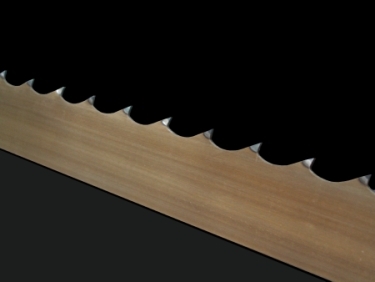 Saws made for your application.